Warranty upgrade for 3 year base warranty models.Lenovo offers a comprehensive portfolio of value-added services that support the full lifecycle of your Lenovo assets from procurement to disposition. 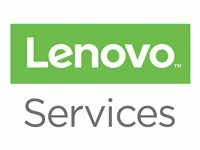 The award-winning service experience can optimize the productivity and user satisfaction by reducing downtime, and enabling you or your IT staff to focus on your business critical issues.Lenovo's Product Exchange Service provides expedited replacement of your product should you experience problems with faulty equipment. If the issue cannot be resolved by phone, you will receive a replacement product equivalent in value and function, saving you from unexpected downtime and repair expenses.